Many years ago, I felt a great burden to see Oklahoma Baptists take a strong step forward in regard to prayer. After all, we can work, strain and exhaust ourselves in the work of the Gospel, but the results are not ours to produce. Only God can bring revival, spiritual awakening and a great harvest of souls. The Bible is clear—prayer is at the heart of our spiritual growth and productivity, both individually and corporately. For this reason, in January 2001, I asked the Baptist General Convention of Oklahoma Board of Directors to approve a new staff position for prayer and spiritual awakening. After their approval, I began to seek advice as to the person who should lead us. Henry Blackaby and I had dinner in Tulsa one evening, and he pointed me to a Memphis pastor, Dr. Greg Frizzell. Dr. Frizzell has served Oklahoma Baptists through his ministry, which has reached around the world, by speaking and writing on the subject of prayer and spiritual awakening. Many of our churches, and we, as individuals, have been deeply touched by his investment in our spiritual lives. We are stronger in prayer today than when Dr. Frizzell took this role at the BGCO. Perhaps his greatest contribution is the numerous books and other resources he has produced. I remember well making my way through his first book, Return to Holiness. This book touched me deeply, and the ongoing impact in my life is remarkable. Dr. Frizzell has published 39 books since then. We don’t often think of the impact of a book. Place a book in a person’s hands and it can be read and re-read many times. In fact, in India, where many of Dr. Frizzell’s books have been given to pastors and leaders, we are told the books will be read by at least three other people. A book may sit on a shelf for years until a reader is prompted by the Holy Spirit to pick up the book in an hour of need. Dr. Frizzell has been an important part of the convention’s ministry among Oklahoma Baptists. 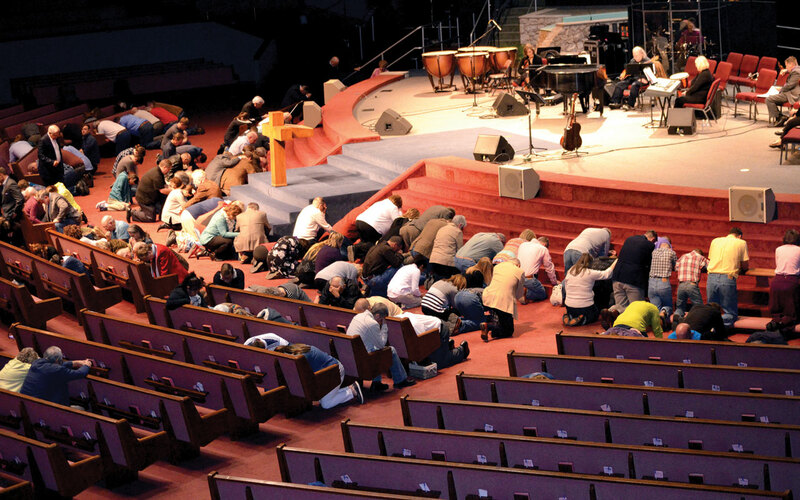 A couple of years ago, Dr. Frizzell asked me to pray with him about broadening his ministry. Over these two years, we have been working toward him becoming a consultant, allowing him to extend his ministry more aggressively beyond Oklahoma. As of Dec. 31, 2015, Dr. Frizzell will move to a consultant role with the BGCO and will devote his ministry full-time with Gregory Frizzell Ministries. I support Dr. Frizzell in this move and believe our Lord will use him in remarkable ways around the world. He already has an extensive ministry in Brazil and East Asia. I know you will pray for him as he takes this step. I hope you will continue to contact Dr. Frizzell to speak in our Oklahoma churches and avail yourself of the many books and resources he has produced. You can contact him at [email protected] or call 864/777-0782. We give thanks to God for Dr. Frizzell and pray God’s abundant blessing on him in his new ministry role.